Soraya Janmohamed is running a FREE 30 day Holistic Ramadhan programme to use this month as a sprinbgboard to change – and Buzz will add tidbits for children too! Remember the Good Deed Tree that was made in the Shabaan bonanza (shared here: http://buzzideazz.com/idea-13-combine-celebrations-with-a-purpose-fundraising/)? 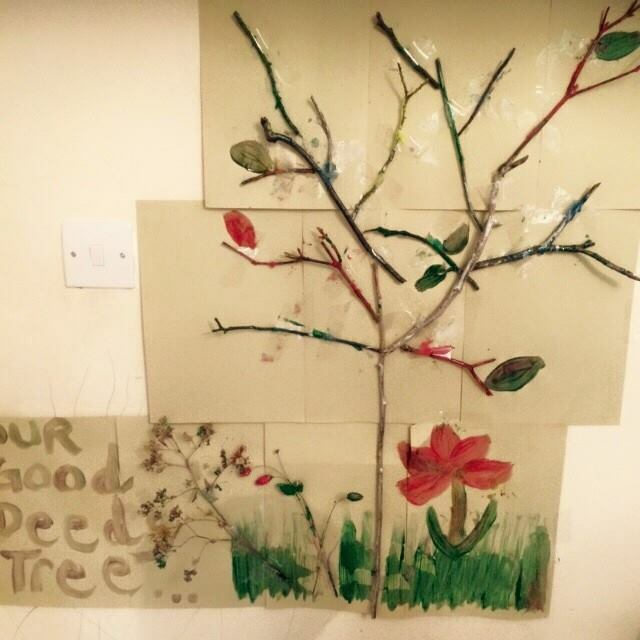 Well here is a Ramadhan banner one mum made with lots of ideas of good deeds children can do to help fill that tree! And how about this good deed tree? 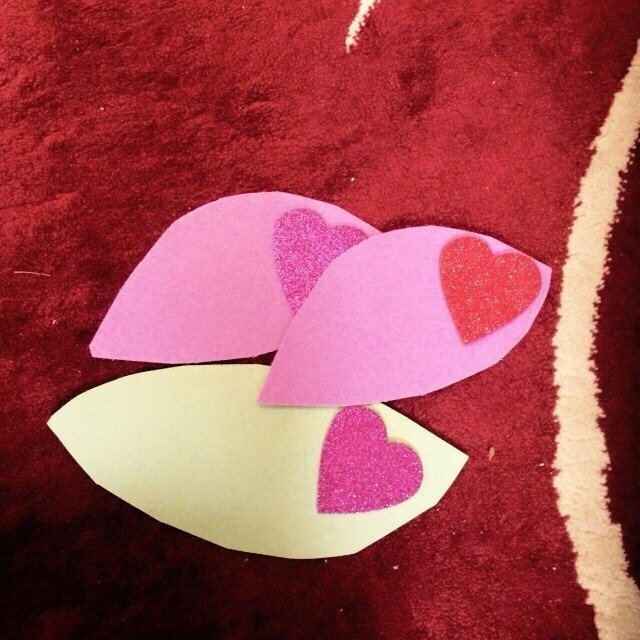 The children write their good deeds onto leaves and stick them on – Inshallah by the end of Ramadhan the tree will be full of leaves! Before i go into the nasheeds, here is a short animated film on Ramadan! Fits in perfectly with the ideas on buloogh – nice one to watch with our girls! Make the buloogh birthday extra special by adding meaningful gifts! One family gifted their daughter 9 gifts, one for each year. She started opening one a day each day, leading up to her actual birthday – this made the excitement truly stretch out! The women that were invited to mark this special moment in the girl’s life were encouraged to give a special sort of gift – something of theirs that was meaningful and significant to them that they were passing on to her, such as a piece of jewellery from when they were younger, a poem that touched them, a book that they loved, a journal to write her thoughts in, a special photograph, etc. I loved, loved, loved this idea! So with buloogh parties, the girls celebrated with friends, but what about marking the moment with the loving women in our child’s life? A friend was telling me how they marked a girl’s ‘coming of age’ by gathering all the important women in the girl’s life, such as the grandmothers, aunts and other close women. Prior to this, the girl was asked to think of questions she would like to ask (could be on anything she wanted to know), and she thought of a number of questions, and who she would like to answer what question. On the day, each lady went into a room with the young girl and answered the question she had been given. At the end of each question, the girl got a bead to put together as a necklace of beads (or ‘pearls of wisdom’ :)), and the lady too got a bead as a reminder of this day and moment. Needless to say, the beads are a treasured reminder of all the advice given to the young girl, both for her and the ladies involved! One mum had a lovely idea of collecting messages for her daughter from all the people who knew her – family, friends – school and otherwise, teachers, etc. The result was one lovely journal full of memories and advice for the years ahead, which I’m sure she will cherish forever! Following on from the idea of having a one-day Buloogh Club, how about a weekend camp idea? “I was looking forward to the camp so much I was counting the days. Even though it was my first time away from home I wasn’t nervous. The camp was in Milton Keynes. My mum dropped me to Milton Keynes in the car. I bought a very big suitcase with me which had lots of clothes and other things that were on the list. We got into groups and did fun ice-breaker activities to get to know each other. There were 36 girls altogether. We played lots of games and made loom bracelets. We slept in our sleeping bags on the floor of the mosque. It was quite comfortable. We talked for a long time after the lights went out. In the middle of the night we got up for fajr. The next day we went to activity centre. We did rock climbing, sledging, ice sliding, bowling and shopping all in one day. When we got back we did more activities like decorating cupcakes. Then we got dressed up because it was Mehraj night. The next day in the morning we had a buloogh workshop and we talked about dressing properly when we become baligh and what kind of clothes we should wear. We did a fashion show. In the afternoon we went to the food bank and we helped sort out food parcels for people who don’t have enough food to eat. On our last night we had a lovely midnight feast with lots of doughnuts and chocolate and sweets and crisps. It was amazing.